Published September 2014 by Hot Key Books. 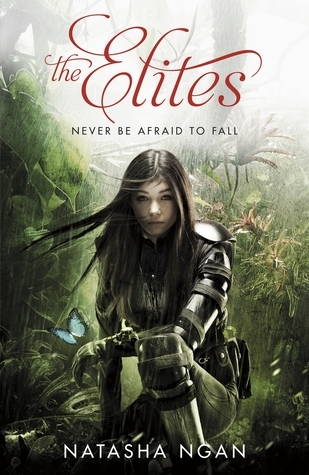 My Review: I read and loved Natasha Ngan’s striking fantasy début, The Elites, when it was released last year. Ever since I finished the last page of it I was eager to read more from Natasha! I was so glad when this arrived in the post, I delved straight into it and devoured the story in a day. It’s richly fantastical, but scarily real and possible at the same time. I’m so glad I enjoyed it as much as The Elites! I adored Natasha Ngan’s world-building in her début novel, and was eager, but nervous, to see what her new dystopian world would be like. Ngan is so inventive and creative: Long after I put the book down, I was wondering about the futuristic imagining of London. It’s divided completely between a rich north and a poor south, with technological advances like memory recording. 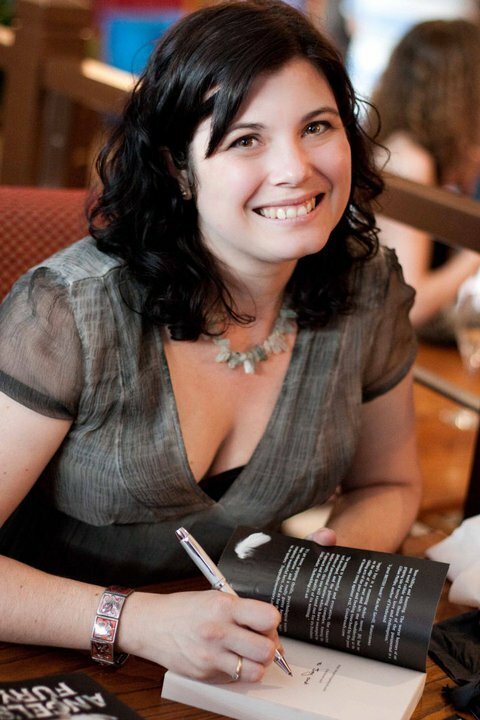 The book explores so much of the city and there were a lot of well developed parts, like the Underground communities… I’d really love another book set in the world of The Memory Keepers, as I was fascinated by the world-building. The book is written in switching narratives between Alba and Seven, who both lead completely different lives but are brought together when Seven breaks into Alba’s house to steal one of her family’s memories. I loved the narration immensely. The switching narrative was perfect for the story and Natasha Ngan has crafted two great, individual voices. I love Alba and Seven, the protagonists, too! I connected with them a lot and really didn’t want to put the book down while reading, eager to know what happened next to them. 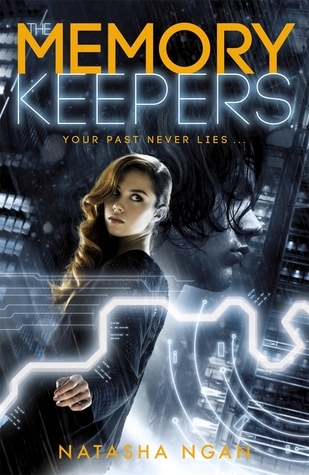 I received a copy of The Memory Keepers from the publisher, in exchange for a review. In no way at all did this affect my thoughts. This entry was posted in Uncategorized and tagged adventure, alba, dystopia, fantasy, futuristic, gritty, london, sci-fi, seven, ukya, YA, ya fiction, ya novel on September 18, 2014 by keithbwalters. Published 1st May 2014 by Andersen Press. Goodreads Synopsis: Mila has 7 seconds. 7 seconds to fight. 7 seconds to escape. 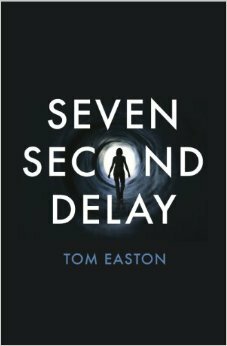 My Review: Seven Second Delay was such an action packed, and thrilling read!I was looking forward to reading it, and wasn’t let down, though I wasn’t entirely sure at first how I’d find it , a dark dystopian, after having read Easton’s more contemporary, funny book! It did take me a little while to understand the world; it was about a hundred pages before everything was explained fully. However, the rest of the book did make up for that! The plot is so interesting. The beginning of the book has the reader as clueless about what’s happening as Mila, the protagonist, so it’s really riveting to piece together all of the information along with her. There were a lot of unexpected twists and turns; I honestly didn’t know what was going to happen on the next page. I received a copy of Seven Seocnd Delay from the publisher, in exchange for a review. In no way at all did this affect my thoughts. This entry was posted in Uncategorized and tagged action, drama, dystopia, dystopian, futuristic, suspense, thriller on April 25, 2014 by keithbwalters. By Gabrielle Zevin, published by Macmillan. “Every time I think I’m out, they pull me back in.”- Michael Corleone, The Godfather. What an awesome sequel! I was really worried that this wouldn’t live up to the sheer perfection of the first book, All These Things I’ve Done, but it really did! 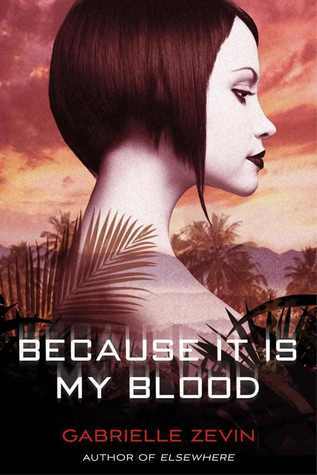 Because It Is My Blood is a book I’ve been so excited for, all of this year, since I read the first one back in January, and have been impatiently tapping my foot, waiting to read about what Anya Does Next. This book has definitely disproved that statement about Sequels of books not living up to their predecessors. Because It Is My Blood was just as brilliant; a real roller-coaster-ride of a book. It was a perfect blend of thriller, dystopia, and family drama! Anya was, and still is, one of my favourite female dystopia protagonists. She’s so three-dimensional, and despite living so far off in the future, very relatable. It was very interesting to see what she’d do after the ending of All These Things I’ve Done- as, boy, that was an evil cliffhanger! I loved her just as much in this installment: She’s a very down-to-earth character. I enjoyed following her as she was thrown back in Liberty- a rehabilitation facility for children; then as she escaped, assisted by awesome supporting characters, to Mexico to lie low for a while. Gabrielle Zevin really played with my emotions in this book! Firstly, Anya’s brother. He was a loveable character in book one, who was then taken away for safety. Oh, was I upset at that- I thought I wouldn’t hear of him in this book! Fortunately, I did, but, I can’t say what happens to him in this book. All I can say is: Gabrielle! That plot twist made me cry and want to throw the book across the room, then made me laugh and do a little happy dance at the end. The author’s also made me learn not to trust any minor character in this book. I’m really scared as to what may happen in book three, now. The plot was very different, to All These Things I’ve Done! I was ever so slightly annoyed at the fact that another love interest made his way into Anya’s life. I was pretty terrified that that might take over the rest of the book- but, luckily, it didn’t, so yay! The new love interest (Well, I guess he is. It seems that Anya sees him as a friend, but he’s competing with Will a bit, to me) was a very likeable character, though, and he and his family, who run the plantation Anya hides in, opened the gateway to yet more conspiracy theories and drama. I loved that! This sequel was pretty much unpredictable. Overall, Because It Is My Blood was a really strong sequel to an amazing book. I don’t think I could pick out any major flaws! 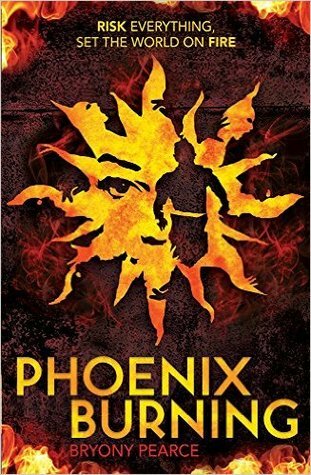 This series is an amazing thrill ride, and any crime/drama/romance/dystopia loving teen will also love it, I’m very sure. 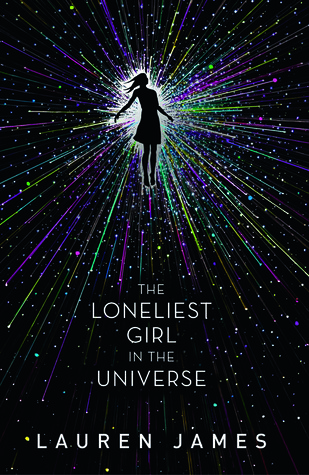 I loved reading more about Anya, and I think the book was great, but too short for me (maybe that’s just because I was so immersed in it, and wanted more!). With some new characters I’ve grown to love, and some old characters I’ve grown to hate (thanks to some double-crossing and plot twists! ), I really can’t wait for the next book, which is called In The Age of Love and Chocolate. You can check out my review of ALL THESE THINGS I’VE DONE, HERE! I received a copy of Because It Is My Blood from the publisher, in exchange for a review. In no way at all did this affect my thoughts. This entry was posted in Review by Georgia and tagged crime, drama, dystopia, futuristic, love on October 7, 2013 by keithbwalters. By Natasha Ngan, published by Hot Key Books. Hundreds of years into the future, wars, riots, resource crises and rising sea-levels have destroyed the old civilisations. Only one city has survived: Neo-Babel, a city full of cultures – and racial tension. Fifteen-year-old Silver is an Elite, a citizen of Neo-Babel chosen to guard the city due to her superior DNA. She’d never dream of leaving – but then she fails to prevent the assassination of Neo Babel’s president, setting off a chain of events more shocking and devastating than she could ever have imagined. Forced to flee the city with her best friend Butterfly (a boy with genetically-enhanced wings), Silver will have to fight to find her family, uncover the truth about Neo-Babel and come to terms with her complicated feelings for Butterfly. My Review: I heard about this book at the beginning of this year, and I’ve been getting so excited for it throughout the past few months. When I received a copy, I was so ecstatic! I delved right into The Elites and found it hard to drag myself back into reality between chapters. It was such a breath taking, beautiful book, that screamed originality. Beware of a long review here, ranting on about the brilliance! Firstly, the setting! Neo Babel was just so well developed. I actually don’t think that I’ve read about such a well thought out, brilliant world since Harry Potter… And that was *mentally calculates* five years ago! Neo Babel was rich with fantasy, mixed in with an interesting, but tension filled, multicultural society. The blend of imaginative fantasy and realistic society (I think London is a lot like it, in terms of diversity!) made for such a brilliant backdrop. It reminded me a little of The Killables by Gemma Malley, in the fact that the city is enclosed from the outside world… Though there are these small, rebellious groups outside. The plot? 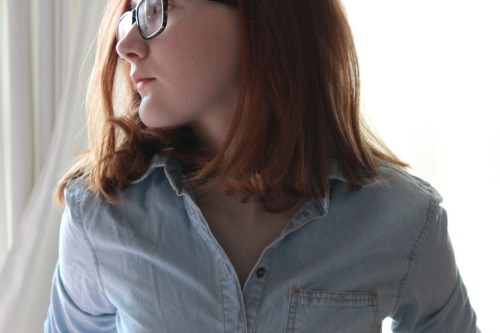 Practically flawless! I was most definitely not expecting the twists and turns that we’re in store for me. The story begins with Silver, who witnesses the assassination of Neo Babel’s leader. This was just in the first few pages! Every event after that was just as riveting. I enjoyed reading about Silver and Butterfly as they set outside Neo Babel, in search of Silver’s parents. If you’re looking for an exciting plot, read The Elites. You will not be disappointed! I think the only thing that I disliked about the plot was very minor. Silver and Butterfly both discover *SLIGHT SPOILER ALERT! * lost family members. As surprised as this made me feel, I think that I couldn’t emotionally attach to the characters much over this. Maybe, if things about their pasts with family had been revealed before the discoveries, I could have been even more sympathizing with the new characters and the protagonists? The family finding thing was just thrown on me, and I wasn’t too sure what to make of it at first as I didn’t know about them before. The characters in this book were just… Unforgettable! I loved Silver so much- she was a great, strong protagonist. I was rooting for her throughout the entire novel. I was fascinated (and maybe slightly jealous) of her job, as an Elite! I laughed with her, and felt all of her emotions so well through the author’s writing: Natasha Ngan made me feel genuine love for most characters like Silver and Butterfly, and genuine hatred for others… There were points where I wanted to just throttle Ember! (Ember was like an evil stepsister. And although I felt a teensy bit sorry for her, I disliked her as much as the main antagonists). Oh, how could I forget?! BUTTERFLY. Butterfly is the male lead character of the book, and I’m competing with a lot of bloggers at the moment to be his hugest fan. Think… Peeta (Hunger Games), but stronger, more sacrificing, with a little bit of Jace’s (Mortal Instruments) charm and awesomeness. Oh, plus wings. Yep I said wings. How cool is that? The love interest, and heartthrob, and imaginary husband to a bunch of bloggers, (I’m looking at you, Hawwa! ), has wings. I don’t think I could’ve asked for a better supporting character. Overall, The Elites just blew me away. It was such an original read, that I devoured quickly and was left wanting more of… though, it’s a standalone, which I’m also quite happy about. The characters were flawless and the book was laced with their raw emotions, thanks to some immaculate writing. A plot with excellent twists and surprises was set on a backdrop that was described beautifully (Dear Natasha: Can I live there? Pleeaasee?). This has got to be one of the best fantasies I’ve read this year, up with the mortal instruments, and when it’s published, I have no doubt it’s going to be big. 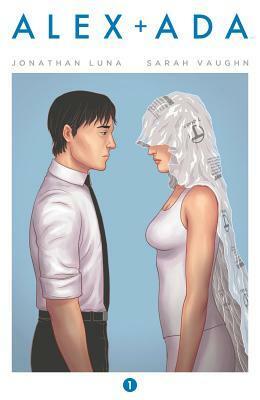 Also, the publishers have made this amazing interactive cover! Go check it out- full of extracts, links, and a video. I received a copy of The Elites from the publisher, in exchange for a review. In no way at all did this affect my thoughts. This entry was posted in Uncategorized and tagged dystopia, fantasy, futuristic, romance on August 15, 2013 by keithbwalters.